Rigorous Implementation Of Environmental Law – A Priority ! 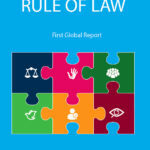 The United Nations Environment Programme (UNEP – https://www.unenvironment.org/) has recently published the First Global Report on Environmental Rule of Law … which finds weak enforcement to be a global trend that is exacerbating environmental threats, despite the prolific growth in environmental laws and agencies worldwide over the last four decades. The answer, of course, is rigorous implementation of environmental law … most particularly in those developed countries which have amassed their riches, over past centuries, from the plunder of natural, human and cultural resources in Central & South America, Africa and Asia. If human society is to stay within the bounds of critical ecological thresholds, it is imperative that environmental laws are widely understood, respected, and enforced … and the benefits of environmental protection are enjoyed by people and the planet. Environmental rule of law offers a framework for addressing the gap between environmental laws on the books and in practice, and is key to achieving the U.N. Sustainable Development Goals. Environmental laws have grown dramatically over the last three decades, as countries have come to understand the vital linkages between environment, economic growth, public health, social cohesion, and security. As of 2017, 176 countries have environmental framework laws; 150 countries have enshrined environmental protection or the right to a healthy environment in their constitutions; and 164 countries have created cabinet-level bodies responsible for environmental protection. These and other environmental laws, rights, and institutions have helped to slow – and in some cases to reverse – environmental degradation and to achieve the public health, economic, social, and human rights benefits which accompany environmental protection. The 1972 United Nations Conference on the Human Environment brought the global environment into the public consciousness, leading to the establishment of the United Nations Environment Programme. Following the 1992 United Nations Conference on Environment and Development (known as the Rio Earth Summit), many countries made a concerted effort to enact environmental laws, establish environment ministries and agencies, and enshrine environmental rights and protections in their national constitutions. By the 2012 United Nations Conference on Sustainable Development, the focus had shifted to implementation of environmental laws, which is where progress has waned. Too often, implementation and enforcement of environmental laws and regulations falls far short of what is required to address environmental challenges. Laws sometimes lack clear standards or necessary mandates. Others are not tailored to national and local contexts and so fail to address the conditions on the ground. Implementing ministries are often underfunded and politically weak in comparison to ministries responsible for economic or natural resource development. And while many countries are endeavouring to strengthen implementation of environmental law, a backlash has also occurred as environmental defenders are killed and funding for civil society restricted. These shortfalls are by no means limited to developing nations: reviews of developed nations have found their performance on environmental issues lacking in certain respects. In short, environmental rule of law is a challenge for all countries. This Report discusses the range of measures that countries are adopting to address this implementation gap – and to ensure that rule of law is effective in the environmental sphere. 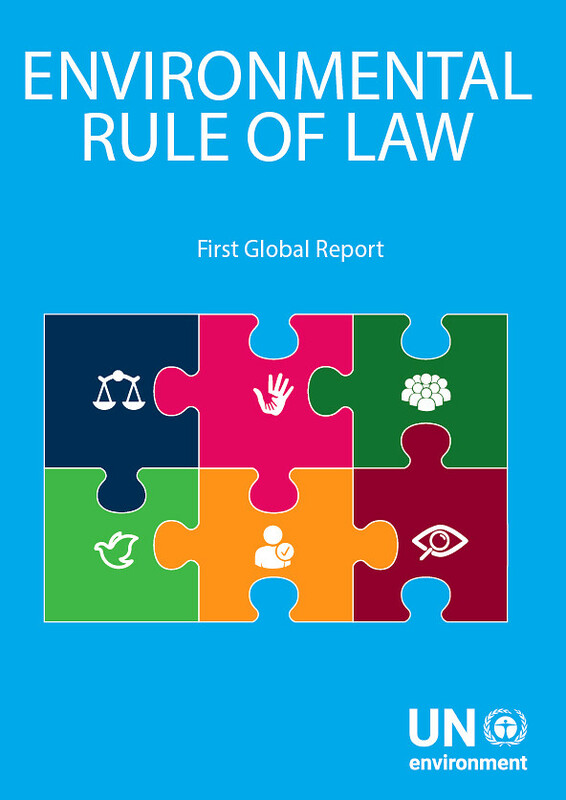 As the first assessment of the global environmental rule of law, this Report draws on experiences, challenges, viewpoints, and successes of diverse countries around the world, highlighting global trends as well as opportunities for countries and partners to strengthen the environmental rule of law. The Report highlights the need to undertake a regular global assessment of the state of environmental rule of law. To track progress nationally and globally, it is necessary to utilize a set of consistent indicators. The Report proposes an indicator framework for environmental rule of law and highlights existing datasets that may be utilized in support of the global assessment. The Report also calls for a concerted effort to support countries in pilot testing approaches to strengthen environmental rule of law. Such an initiative could support testing of approaches in diverse contexts, and then adapting them before scaling them up. It should also foster exchange of experiences between jurisdictions to foster learning. In addition to these two cross-cutting recommendations, the Report highlights numerous actionable steps that States can take to support environmental rule of law. For example, States can evaluate the current mandates and structure of environmental institutions to identify regulatory overlap or underlap. States and partners can build the capacity of the public to engage thoughtfully and meaningfully with government and project proponents. They can prioritize protection of environmental defenders and whistle-blowers. States may consider the creation of specialized environmental courts and tribunals, and use administrative enforcement processes to handle minor offences. And there is an ongoing need to research which approaches are effective under what circumstances. The benefits of environmental rule of law extend far beyond the environmental sector. While the most direct effects are in protection of the environment, it also strengthens rule of law more broadly, supports sustainable economic and social development, protects public health, contributes to peace and security by avoiding and defusing conflict, and protects human and constitutional rights. As such, it is a growing priority for all countries.